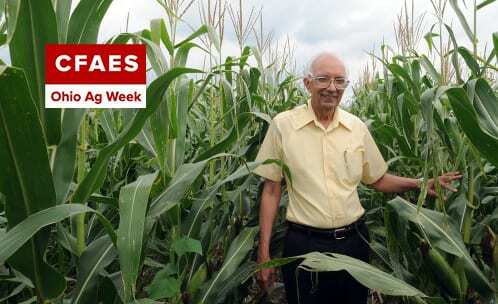 Lal’s efforts to protect and improve the soil—by preventing erosion, increasing organic matter, and more—help farmers in Ohio and around the world and all of us who need what they grow. His research on sequestering carbon, meanwhile—Lal directs SENR’s Carbon Management and Sequestration Center—shows a doable way to help slow down climate change that’s good for the soil to boot. It’s work that serves soil, farmers, and the planet; it suggests we’re connected and in this together. Posted by Kurt Knebusch at 5:50pm March 14, 2019 Posted in On The Farm and tagged climate change, food production, soil health, soil management, sustainable agriculture. Bookmark the permalink. ← How do you spell farming success?